3 Bedroom Semi Detached House For Sale in West Sussex for Asking Price £387,950. This stylish three bedroom home is ideal for young families, with three comfortable bedrooms and thoughtfully designed reception areas, complete with a practical utility room, it is perfect for family time. This contemporary development of just sixteen private homes, is perfect for city living. 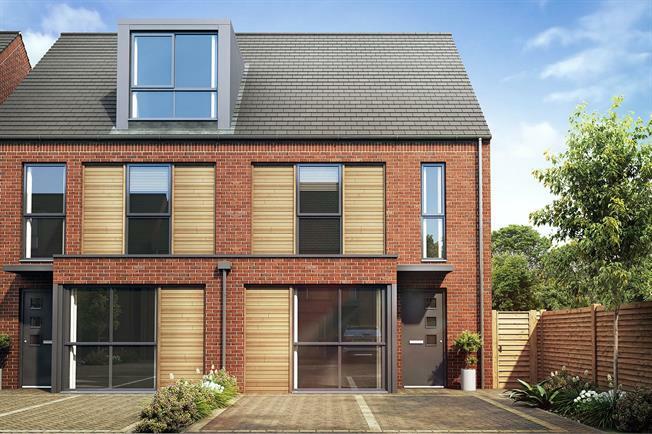 Just a mile from Chichester city centre, the 2, 3 & 4 bedroom stylish homes at Romana offer flexible living space with an impressive specification throughout. The cathedral city of Chichester has a long history as a Roman settlement, so there's a real sense of community. The city offers excellent shopping from high street names to charming boutiques. For a day of excitement, Goodwood Motor Circuit and Goodwood Racecourse are just 15 minutes away but if you're looking for something more relaxed the picturesque Chichester Marina is the ideal spot for a cup of tea and a quiet scenic walk on a Sunday afternoon. Terms & conditions apply. Please ask a sales advisor for full details.